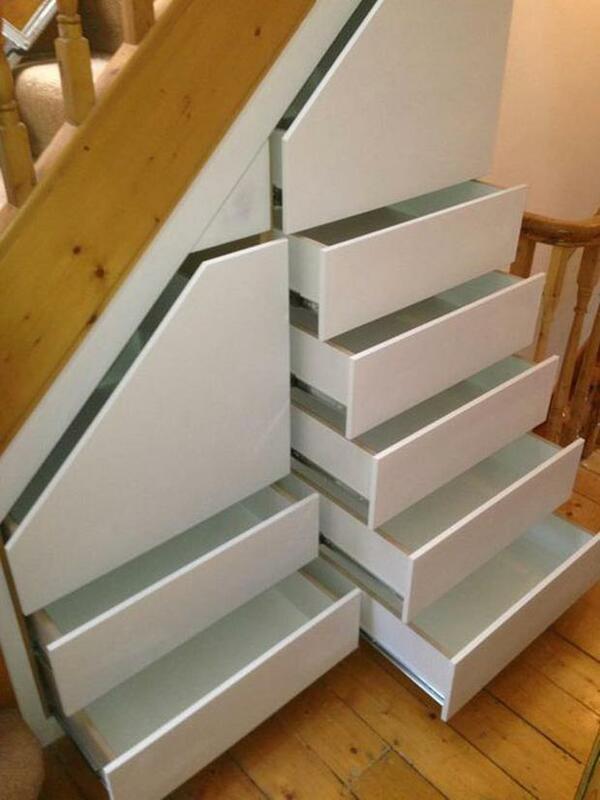 No matter how big our houses may be, we all struggle to get storage right. We seem to adjust to our space, however big or small, and find that clutter is a given. In the absence of some de-cluttering fairy Godmother, below we’ve chronicled some of the most clever (and simple) storage tips and tricks, sure to give your home a calmer, more organised feel, and your mind an easier disposition. 1. If you can afford it, built in storage is always a good idea. Whether you decide to make deep drawers under your staircase (because those dark, under-the-stairs cubby holes are always hard to organise) or you can do away with the free-standing wardrobe in favour of something multi-functional and built in to suit the style of your room, this kind of hidden storage is best. 2. This one’s more so for the make-up wearers among us. Make-up and toiletries and all manner of lotions and potions can very quickly leave your room in a mess, unless you spend ages lining everything up nicely every single time you sit down to get ready. For a much nicer living space, keep your counter tops as clutter-free as possible. 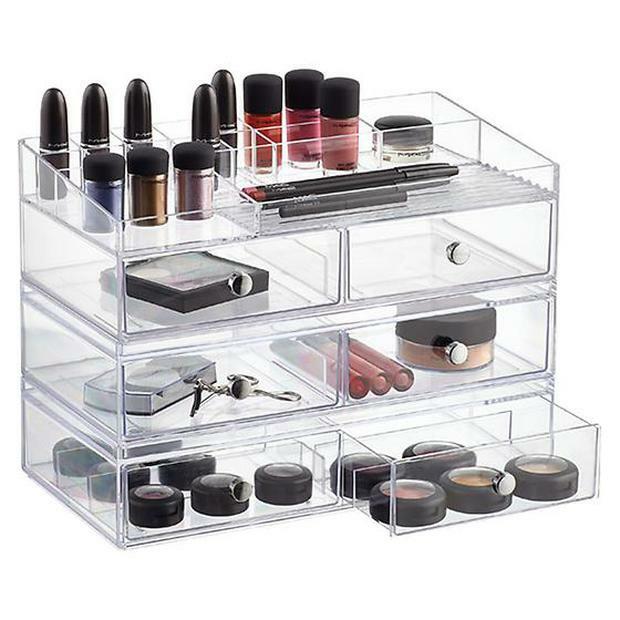 Either invest in a dressing table that already comes with drawers where you can pop all of your bits and bobs in and it won’t matter how messy they get in there, or, if you prefer to keep your make-up on display, get yourself a storage kit to suit. 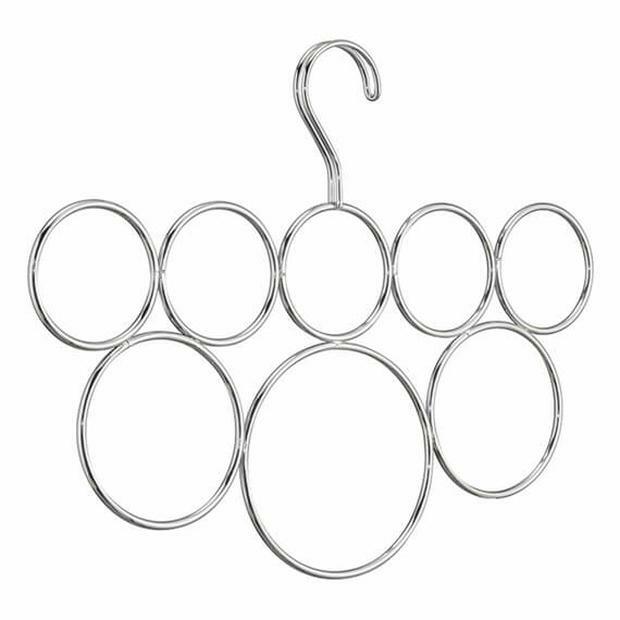 For a super budget-friendly option, head to Ikea and stock up on plant/candle holders which double as perfect holders for your many make-up brushes. 3. 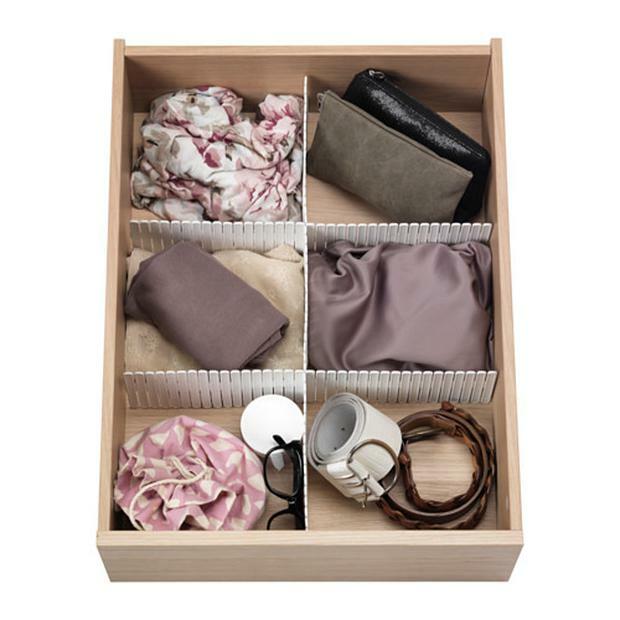 Instead of looking at one drawer as a home for one type of thing, try drawer dividers so that a) you can mix things up and b) you can easily access whatever is you need without needing to rummage or up-end the entire drawer. If we all made an effort to keep our knickers separate from our socks, bras and tights, we reckon the world would be a significantly less stressed place. 4. Hangers with multiple layers are simple, clever and solve the problem of having a wardrobe that’s too small. With these babies you can easily hang five pairs of trousers up in one fell swoop. This one’s perfect for your scarf collection. 5. If you can’t hide something away entirely, make sure you’re happy to look at it. These days, chic and trendy washing baskets are ten-a-penny and there’s nothing ugly about them. Your dirty laundry needn’t be an eyesore. 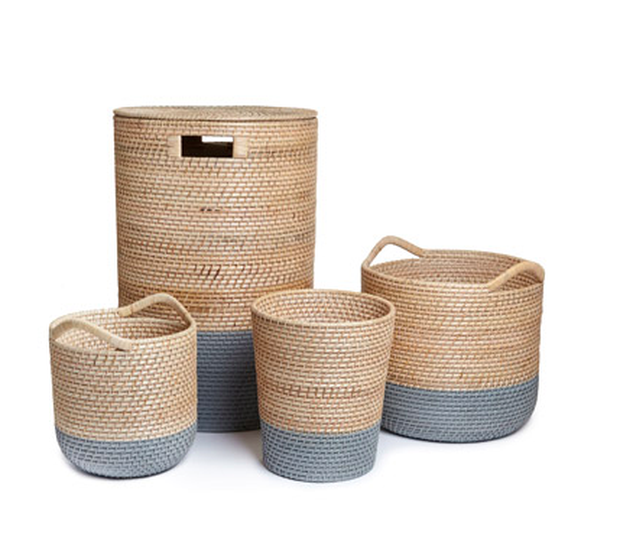 We love these baskets from Dunnes Stores. 6. If you’re reconsidering your dining situation, and have the luxury of a corner, a custom-built bench is not only super handy in that you can pack more people around the table, but you can also have them built in such a way that the seats lift up with storage underneath. Always wondered where to keep your place-mats and your stock piles of tea light candles? Here you go. 7. 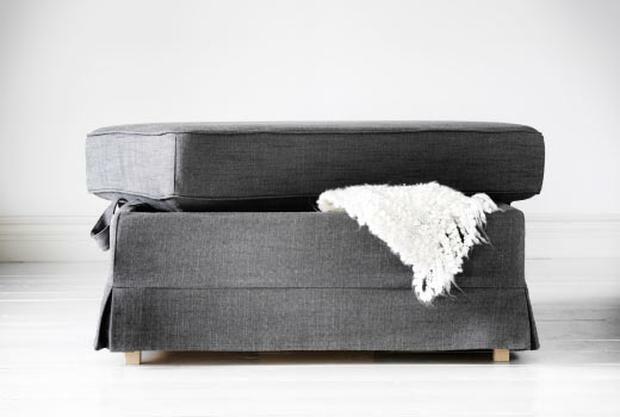 Ikea’s ottomans are also a great extra storage option in the living room. For all those bits that you just can’t find a home for or that you’d simply rather not have to look at, you’ll be surprised how much you can fit in here. 8. One of the most common interiors nightmares we have is that our staircases become loaded with coats, scarves, bags and anything else you can succeed in draping over the bannisters. This makes it not only hard to find what you need in a hurry, but it takes over your hallway and makes the space seem smaller. 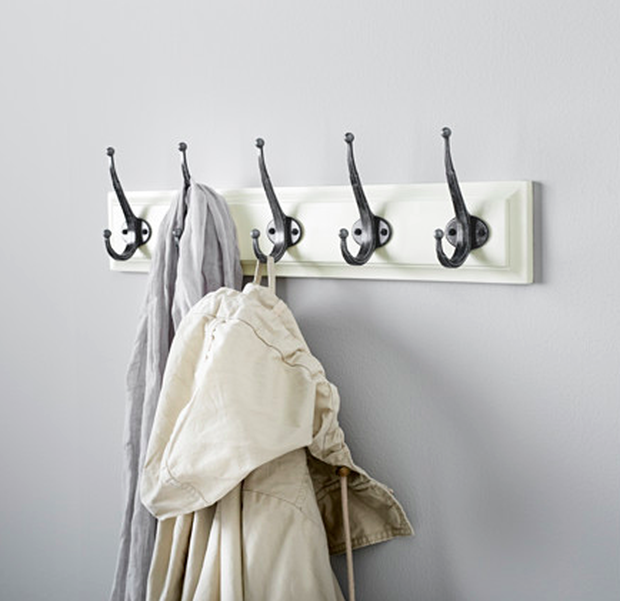 For a cheap fix, either get a coat stand so that your stairs can live coat-free, or have some hooks popped along your hallway wall in such a way that they look like a feature of the room.